The Italian lakes stretch from Piedmont to Lombardy, fed by glacial waters from the Alps in northern Italy. This region has been the summer escape for the rich and famous for centuries – from ancient Roman writers like Pliny the Younger to modern day moguls and celebrities (George Clooney, Richard Branson and Silvio Berlusconi, just to name a few!). Americans may have heard of Lake Como but by and large, they overlook this pretty alpine region. It’s Italians and select savvy Europeans who know and love these freshwater lakes! If you want the ultimate relaxing getaway or need a vacation from your vacation, head north to Italy’s peaceful lake region. Here you’ll find bright blue glacial lakes, quaint old-world villages and sleek riviera boats. You can sail, island hop, hike or have a romantic sunset dinner at a lakeside cafe. The pretty Italian lakes district, with its mild climate, romantic waterfront and lush vegetation, is bound to make you fall in love. Now the only question is… which lake to visit? Lake Orta is the smallest lake in the area, and often overlooked. We were lucky our Italian guide insisted we had to visit! 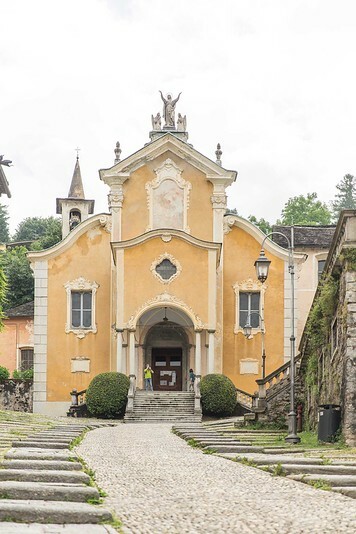 If you’re short on time, Lake Orta can easily be done in 1 day. 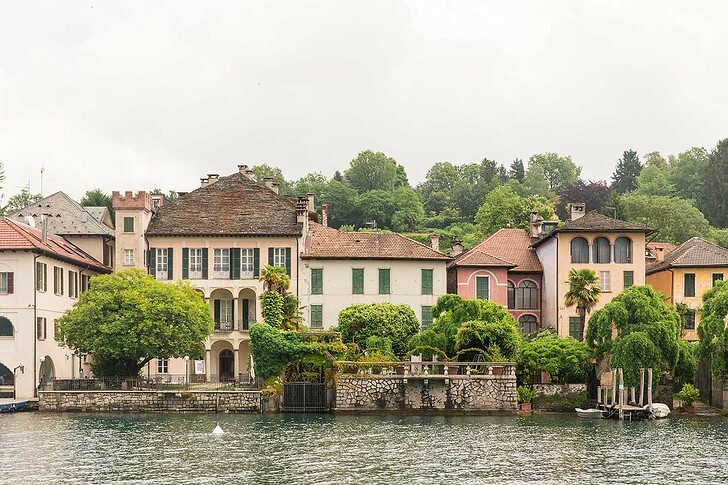 Only 8 miles long, the main village of San Giulio has a beautiful central stairway, cream colored church and lakeside piazza with colorful shops and outdoor cafes. Honeymooners especially will love its romantic, tranquil atmosphere. Grab a gelato from the waterfront arcade before catching the ferry. Then, head across the lake to explore Isola San Giulio, a short ride away. This tiny island is home to a medieval monastery housing a small nun community. We spent a peaceful morning exploring the winding cobblestone streets, snapping photos of the pretty canals and 19th century buildings. 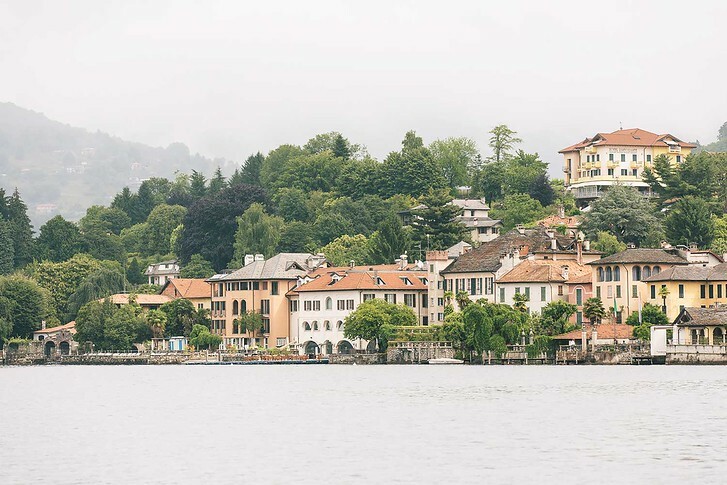 Lake Orta is especially beloved by poets and writers. Twice a year, they host Poetry on the Lake, with a spring poetry competition and an autumn festival celebration. Villa Crespi | This amazing hotel was built in the 19th century as a Moorish style private villa. You’ll love the over the top decor, gorgeous rooms and on site restaurant – it’s rated 2 Michelin stars and run by local Masterchef judge Antonino Cannavacciuolo! Set along the southern banks of the Alps, Lake Maggiore is Italy’s second largest lake. It’s less glitzy compared to Como but boasts the Borromean Islands as its unique attraction. The three small islands in the center of the lake are famous for their Baroque palaces and romantic terrace gardens. We recommend basing yourself on the western shore in Stresa or Baveno, both of which are delightful small towns full of artisanal shops. Spend an afternoon on foot exploring the winding lakeside promenades, enjoy the pretty flowers which bloom in spring or relax at your hotel pool overlooking the lake. What can’t you miss? Chartering a boat to take you to the whimsical Isola Bella, taking a tour of the beautiful gardens Villa Taranto or riding the cable car to the peak of Mount Mottarone for amazing views of the entire area. Grand Hotel Dino | The grand hotel has a huge stretch of property right along Lake Maggiore. There’s an excellent on site restaurant called Last Hall, serving Piedmont specialties. We loved the egg shaped wine barrel booths! Grand Hotel Dino has several swimming pools, bars and ivy covered walkways. Plus, the dock to catch a water taxis is right off the hotel’s back lawn – a perfect location! 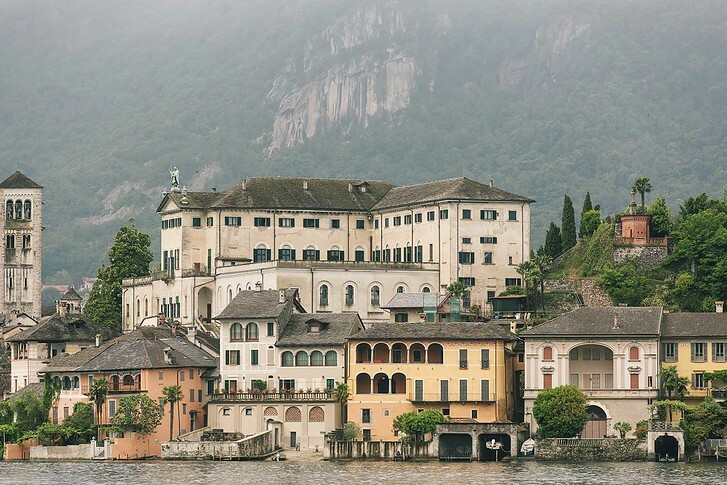 Lake Como is arguably the most sophisticated lake in Italy. Here you’ll find both history and glamour. 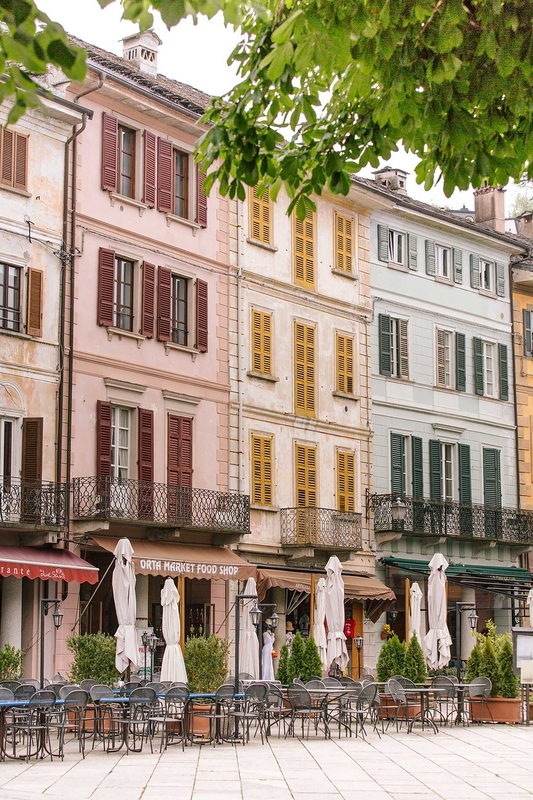 The town of Como is known for silk production while small towns like Bellagio, Varenna and Menaggio are chic, colorful hillside villas perfect for a day of villa hopping. This is the resort town where George Clooney hangs out and it’s easy to see why. Majestic villas, Renaissance gardens and medieval castles are dotted across the lake, many of which are open to the public. 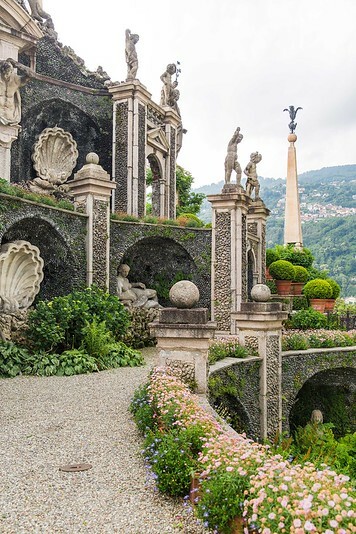 Check out Villa del Balbianello where both Star Wars and James Bond movies were filmed; the romantic gardens of Villa Carlota and the majestic mansions of Villa Monastero and Villa d’Este. 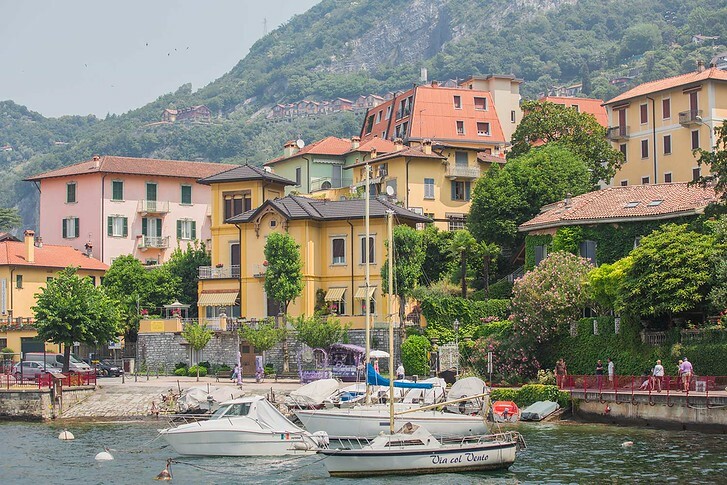 Even though celebrities flock to stylish Lake Como, the area’s lakefront villages maintain a traditional, small town Italian feel. 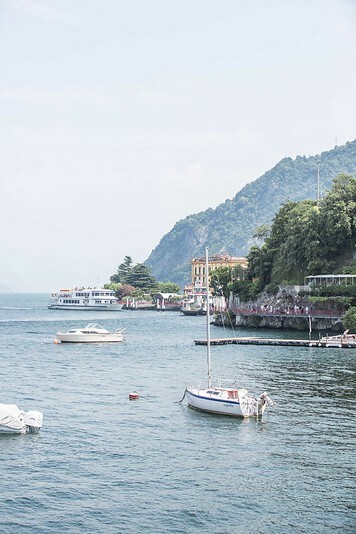 Visit here for a ritzy take on traditional Italian lakeside life! Grand Hotel Tremezzo | There are lots of smart hotels in Lake Como but nothing quite compares to Grand Hotel Tremezzo. 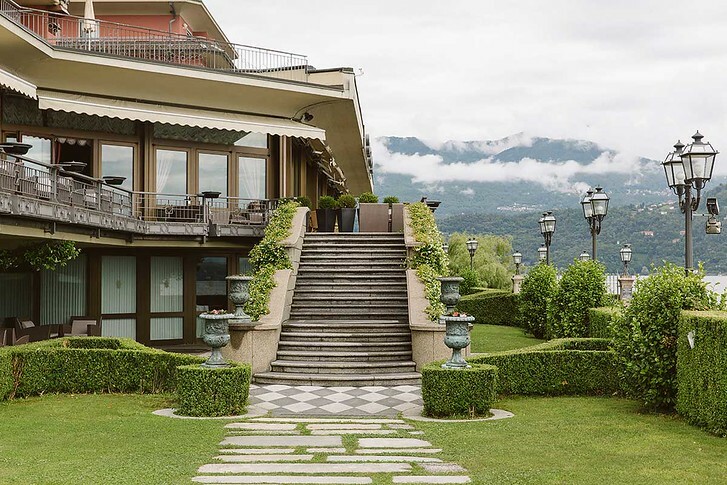 This five-star property has a prime location right next to villa Carlotta, with luxurious rooms that overlook the lake and a famous pool right on Lake Como! Pretty Lake Iseo is a quieter place to explore, with a more local feel. It’s perfect for active travelers, as an ancient trading route called Via Valeriana is now a popular hiking route. Even if you’re not an avid hiker, the trail, which winds through vineyards and olive groves, is worth the climb! 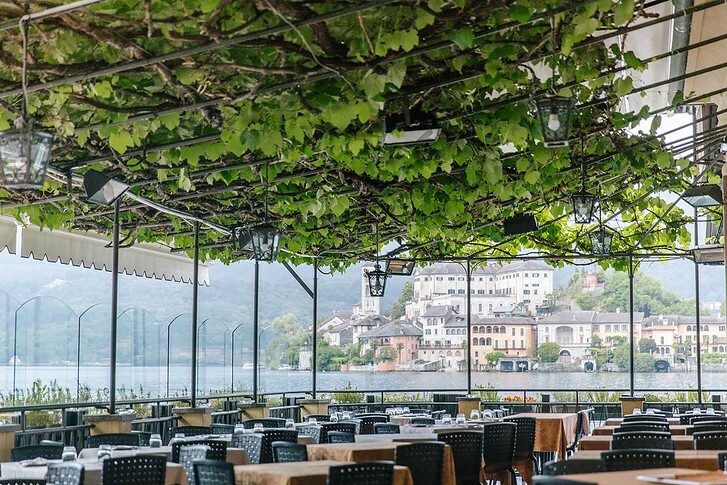 Lake Iseo is also the home base for Franciacorta, Italy’s best sparkling wine. Local cuisine focuses on polenta and lake fish while the lake island, Monte Isola, has pretty picturesque fishing villages. Or, stay in Sulzano for breathtaking views and more affordable boutique hotels. Borgolago Suites | This excellent hotel is a short walk from the main square, Piazza Iseo. Clean rooms, spacious apartments and everything you need stocked in the kitchen and bathrooms. Or, if you want to eat out, there are lots of tasty restaurants nearby! Sporty and family-friendly, Lake Garda is the easternmost lake in Italy. It’s balmy, breezy waters are great for sailors and windsurfers and in fact, the Italian national sailing team trains here! You’ll find lots of German, Swiss and Austrian vacationers as well, due to the lake’s close proximity to the Alps. Base yourself in the north at Riva del Garda and take ferries to explore the tiny towns built into the limestone cliffs. Or, relax in Salo in the rolling hills of the southern shore. The spa town of Sirmione is quite popular while the eastern shore has a cluster of small villages with Roman ruins, upscale hotels and historic museums. Lake Garda is Italy’s largest lake so there are plenty of options to satisfy visitors. Foodies will love the area’s award winning olive oils and Bardolino and Valpolicella wines, sourced directly from Lake Garda’s vineyards, olive groves and lemon trees. With the heavy German influence, don’t be surprised to see schnitzel and beer on the local menus either! Milan, Venice and Bologna are all equally nearby so it’s quite convenient to explore. Wellness Hotel Casa Barca | Near the historic old town of Malcsine, Casa Barca hotel is a treat to stay it. Front rooms have lake views, while the olive trees on site create a stunning location. Don’t skip out on breakfast – it feels quite gourmet with even gluten free options – or on the gelateria in town (La Bottega del Gelato). Overall a great family run property with affordable rates. We hope our travel tips for visiting the Italian Lakes district were helpful! Which lake do you plan on visiting?